Had Esther been the oldest she would have made a consummate queen bee. Being the youngest she had no choice but to take the opposite path: allow her siblings to pamper her and young men to admire her. She was the tallest of the Averbukh girls and considered herself the most attractive. Esther Averbukh (on left). Belaya Tserkov. 1923. In later years, she Russified her nickname Esya to Asya, a version that the family never learned to accept. Growing up with few chores expected of her, Esther spent most of her time reading and giggling with her girlfriends. Her sense of humor was legendary. She enrolled into the Boguslav school but not for long: she did not get along with her oldest sister Khanah who attempted to boss her or, rather, dole out some chores to her. Esther graduated from the gymnasia for girls with a gold medal but she did not contemplate further study or work. A husband of a gorgeous and genius girl, she said, would be so honored to have her that he would not let her work. In her late teens, soon after her father Velvel’s death, Esther married Srul, known as Israel, an intelligent hardworking man from nearby Skvira, a town frowned upon by Velvel as allegedly lacking in Averbukh-approved qualities. Esther mocked Srul’s appearance – he was stooped, not very tall, in thick glasses – but acknowledged that nobody would have loved her more. His working class background allowed him access to the Soviet higher education without any hurdles, and he received a graduate degree in engineering at the time when Soviet-made professionals were beginning to enter the workforce. The university placed Srul as chief engineer at a factory in a small Ukrainian town, number two position. The factory assigned him a chauffeured car and half of a house requisitioned from a laborer. The laborer’s wife babysat Esther’s little girl Valya (Valentina) named after Velvel. Srul, warm and kindhearted and unassuming, was well-liked. Esther took every advantage of her husband’s reputation and her second-lady status: she entertained the factory and the town bigwigs; had Srul’s chauffeur take her shopping to the larger town; had the laborers’ wives cook and clean; organized the delivery of fresh milk and vegetables by local peasants. Japanese spy. Secret Ritual. Odessa. 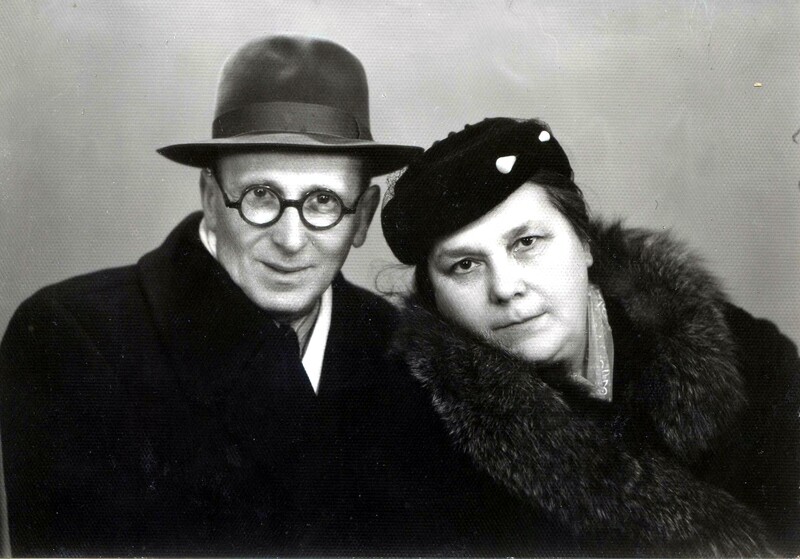 This privileged life ended abruptly in 1930: Srul’s superiors had the decency to warn him that they were supposed to arrest him for spying on behalf of Japan (it was a time of spies at every turn; the choice of country did not matter) and to send Esther and the baby into exile. The same night the landlord took the family to the train station in his horse-drawn carriage. They got on a train that stopped there for a few minutes on the way to Odessa, a city in the southern Ukraine where Srul had friends. The accusation of spying undoubtedly found another recipient; authorities did not pursue those who were not home at arrest time – it was not like the charges were real. Odessa, being a cultural city with a significant Jewish population, gave Esther the opportunity to collect a few Jewish writers and scientists that she called, in her letters, members of her intellectual salon. She attracted their company with, in her words, as much her appearance as her universally admired Russian poetry readings. The purges promptly snuffed out the life of Esther’s salon and of most of its participants. Thankfully, their association with Esther and Srul had never come to light. Esther’s son was born during that anxious period. The ritual of bris, not officially banned yet, was retreating under the onslaught of the fear of punishment, fear of marking the son religious, lack of mohels, parents’ progressive views, or any combination of the above. Esther came up with a plot that would keep Srul in the clear, they hoped. He went away on a business trip; Esther placed the baby in a wicker basket and took a train to a shtetl where an old mohel still functioned, albeit by trusted references only; Srul returned home to discover what his insubordinate wife had done in his absence and without his knowledge. When the Great Patriotic War began, Srul’s poor eyesight kept him from the draft. His technicum evacuated to Siberia with its draft-ineligible staff. Esther concentrated on caring for their daughter Valya who had showed symptoms of kidney disease before the war and was getting worse. The disease killed her at fifteen. The army eventually called on Srul. As he could only see a couple meters in front of him, he could not be trusted with a weapon; his knowledge of mathematics was used to calculate canon projectiles but, on the flip side, he had to be led by hand from position to position in order not to wander off. Srul was discharged after three months. During that time he received an identification with his first name listed as Sergey (a name not favored by Jews) because his superior officer refused to address him by his given name that sounded similar to an unprintable Russian word. Also during his three-month stint in the army, Srul became a member of the Party, a fact that embarrassed him and fed many family jokes. Esther never completely recovered from Valya’s death. She became surly, sullen, susceptible to brief frenetic bursts of energy and fierce men-chasing that panicked her siblings; she read less and laughed infrequently and not as contagiously. Esther’s visits began with bawling on my grandmother’s shoulder in choking self-blame for not saving Valya. The sisters immersed in their past for hours at a time. Tsiporah Gnoyenskaya, Esther Shmunis. Kiev. Year 1970. Their conversations ended with Esther pouting and Polina crying. Polina could not forgive her baby-sister for wasting the brilliant academic abilities that nature gave her. When saying goodbye, Esther, stooped and shrunk, looked like she had left part of her with her older sister. In 1975, Esther and Srul, both in poor health, arrived in the United States. Their son had immigrated a year earlier – the third family of Soviet Jews in San Francisco. Esther was in no condition to meet with her niece, her older brother Avrum’s daughter, when she visited Esther’s son.